GEELONG has locked in promising midfielder Brandan Parfitt for a further season, with the Darwin-raised young gun committing through the 2020 campaign. Parfitt played 34 games and kicked 21 goals across his first two seasons at the Cattery, establishing himself as one of the club's brightest prospects. Those totals would be higher if not for a serious hamstring injury he sustained in his debut year, after being the No.26 draft pick in 2016. 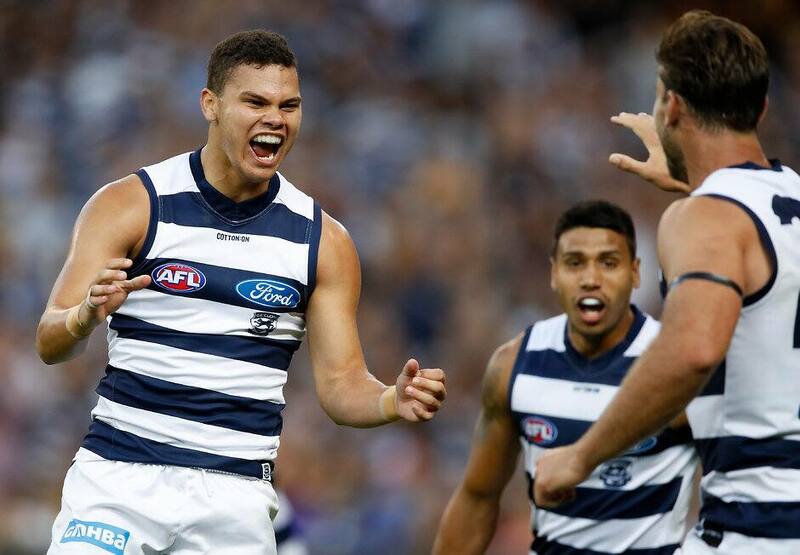 The 20-year-old broke into Geelong's senior team in the opening round of 2017 and scored a NAB AFL Rising Star nomination a fortnight later for his 23 disposals, five tackles and a goal against Melbourne. Parfitt, who wears Brownlow medallist and former Cats champion Jimmy Bartel's No.3 on his back, increased his midfield time last year – after starting as a forward – and that trend is expected to continue. The silky ball user amassed 20 or more possessions seven times in 2018, with his 28 touches and three goals in round three and 17 and four in round 22 his standout performances. He averaged 18 disposals (7.5 contested), 4.5 tackles and 1.6 score assists and kicked 15 goals in total from 19 matches last season. Geelong football boss Simon Lloyd was thrilled to re-sign Parfitt for at least another year. "Brandan has a team-oriented focus and brings a lot of energy and excitement to the playing group," Lloyd said. "A creative and an exciting playmaker, he consistently demonstrates a strong work ethic and a desire to take his football to an elite level. "Over his two years at the club, Brandan has been heavily invested in our football program and where we are going as a group, and we look forward to seeing that continue."